Warhammer Fantasy Battles: Skaven eat cheese (when they are given it). 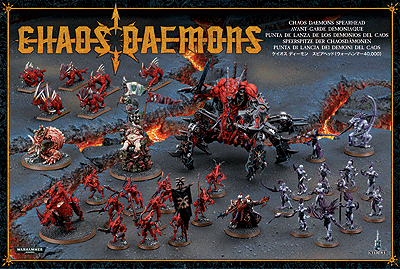 So if I was interested in getting into the Daemons of Slaanesh, would it make more sense to pick up the Start Collecting box, or wait until the new stuff comes out and hopefully has its own box set along with the Slaanesh book? Or would it make more sense to just get both, assuming I had the money? I bought wrath and rapture for the Khorne demons slaanesh was a bonus but i plan on getting the new ones just to fill out what i have. To play with a Khorne demon army i need the blades book for aos? There will probably not be a new SC box with the Slaanesh book, Wrath and Rapture kinda filled that spot per-emptively, so if you can get your mitts on the Slaanesh half and flip the Khorne stuff somewhere it's a good deal. There's probably no harm in picking up the Slaanesh deamons SC box if you like, I can't imagine that a nice block of Deamonettes won't be a core part of most Slaanesh armies even with the new rules. I'd only be hesitant in building the chariot up before the book drops in case they change which of the build-options does what, or how it can be assembled. I remember writing up a Chaos/beastman force for a Warhammer RP thing that I really liked with that theme, and I'd love to try and recreate it. Would be tough and possibly expensive though. Maybe a deer or elk mini for the head? I'd try to stick with goats. Chaos Beastmen models should be just fine, you would just have to paint them to match. 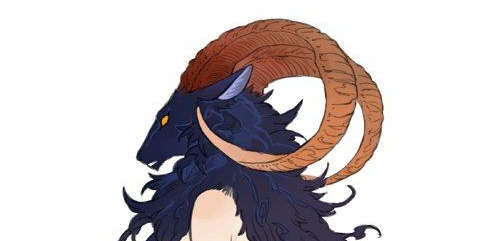 I mean I'd put goat horns on there, I just the think the way deer/elk heads are shaped on most minis is closer to like, the actual face/head I'd want than the Beastman ones. Edit: Honestly the Wild Riders' stag heads look sort like what I'd want, and you can get those bits fairly cheap. Not sure on sizing though. You could probably sculpt enough fur over the shoulders to cover up a slightly too-large head, from memory the heads from the Wild Rider/Sisters of the Thorn mounts are not too big I don't think. They haven't shown any new Slaanesh mortals for the upcoming release so far, which suggests to me that there aren't any coming, but I'd love to be proven wrong, the other chaos gods do all have at least some mortal kits in AoS, so time will tell, I suppose. On the subject of chaos the FAQ for the new Blades of Khorne just dropped, I hope y'all weren't stocking up on Skullcannons. Edit: Apparently the Lord-Aquilor's Gryph-Charger comes with the Aquilor's legs attached. The two solutions to this I can see are A. trying to remove the legs or B. Making the rider into some sort of Chaos Warrior or otherwise armored figure. I'm playing in a sigmar escalation league starting next week. I'm entering as Tzeentch because I have a heralds, a lord of change, and a bunch of horrors from playing 40k. The summoning rules are bothering me a little bit. I don't really know what kind of collection I need to take advantage of it. You could probably make them a Chaos Lord on Daemonic Mount, but that is a pretty old model (though I think it's still a pretty cool one) so there's no guarantee it will make it into new book. The Daughter's of Khaine kinda took the serpent theme with Morathi and her Melusai, but that is as a direct result of Slaanesh's influence on Morathi's soul, so it could be interesting to see some Slaaneshi counterparts, who knows? I don't know if we'll see many more new Slaanesh releases beyond what they've shown so far (Though GW have said there is at least some stuff yet to be revealed) but some of the new art does show mortal cultists and the like, and they rarely have art focusing on things which aren't physical models, so time will tell, I suppose. I'm not really up on how current Tzeentch stuff plays really, probably a bunch of Tzaangors and Enlightened if I had to guess. As I recall Tzeentchian summoning is quite good for board control, you can use fast, disc-mounted heroes to summon units all over the place and limit your opponents movement options or threaten distant objectives, though obviously the amount of summoning you can pull off is limited by your opponents spell-casting potential. You will probably at least want some extra blue/brimstone horrors as their summoning works a little differently I think? I've read a few blogs and battle reports and it seems like realistically I won't be getting much more than a few units of blue horrors, flamers, and maybe a herald. While I love the new Keeper of Secrets, full deamon armies leave me cold for some reason so I’m a bit sad it seems like there won’t be any Mortal units released. It is slightly disappointing, though I will probably be starting up a Slaanesh collection regardless. And I suppose it's fairly likely that the warbands for Warcry will be able to roll into AoS chaos factions, so there may be something appropriate in there, I guess. Mortals summoning Desmond in an ill-advised way to fight for them is just a note interesting image than a zerg rush from the warp. Well, I wouldn't wish Desmond Fishman on anyone. Which chaos god would Desmond Fishman follow? I just won a little 1k tournament, and got best painted to boot! (Though I was using Hagg Nar DoK, so I can hardly claim to be a tactical genius or anything) I was pretty fortunate not to have to fight against the list with 60 Plague Monks and Thanquol, which would've been a tough one, but still, I'll take a win where I can get them! Not particularly meaning to be flippant, but probably not without somewhat fancier outfits. Other than that, I can't think why not. The gryph-charger, when painted blue, makes me think of Tzaangors. I feel like I'm going crazy because I could have sworn there was like a 180$ Troggoth army box but I can't find a picture of it or anything. wasnt that the VERY old dankhold army box thing? If such a thing existed, my google fu is too weak to find evidence of it. On the gryph-charger: One of my friends turned his nazgul mounted on fell beast model into a wild fell best. The model comes with the saddle molded as part of the neck. He cut it off, and green-stuffed scales on top.  My suggestion, if that hadn't turned out well, would be to cover that area in scars/claw marks to make it look like it had been in a fight. Maybe something like that could work for you? I really wish they'd properly redo the Bretonnians. Not to play, but to paint. Fully updated horseman sculpts would be so awesome.